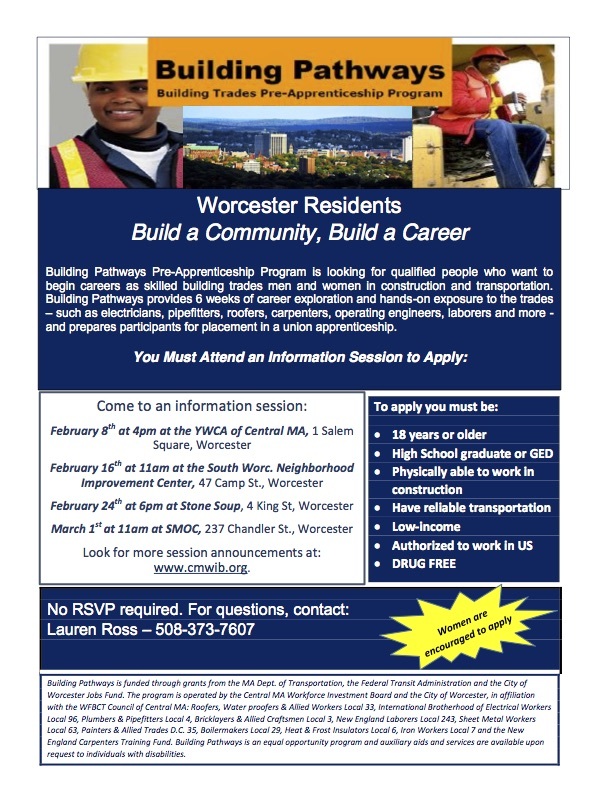 Building Pathways Pre-Apprenticeship Program is working with people who want to begin careers as skilled building trades women and men in construction and transportation. Previous PostWorcester Jobs FundNext PostWho’s TIFs? Our TIFs! will this be coming up again?